Stands 32 ¾" L. x 25" W. x 17 ¼" H.
Extra-sturdy wood board, laminated with easy-clean Melamine and smooth banded edges. 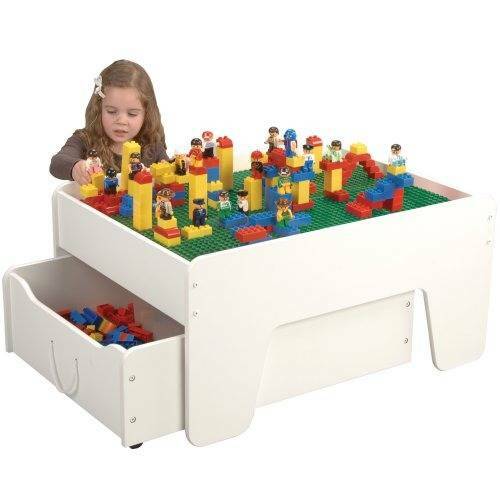 Building base for most Preschool Sized Building Bricks (sold separately) and a smooth white surface for other manipulative play. Table length, pullout trundle drawer for storage.